Right click and save the image below or download the file. View the image in the Channels panel. 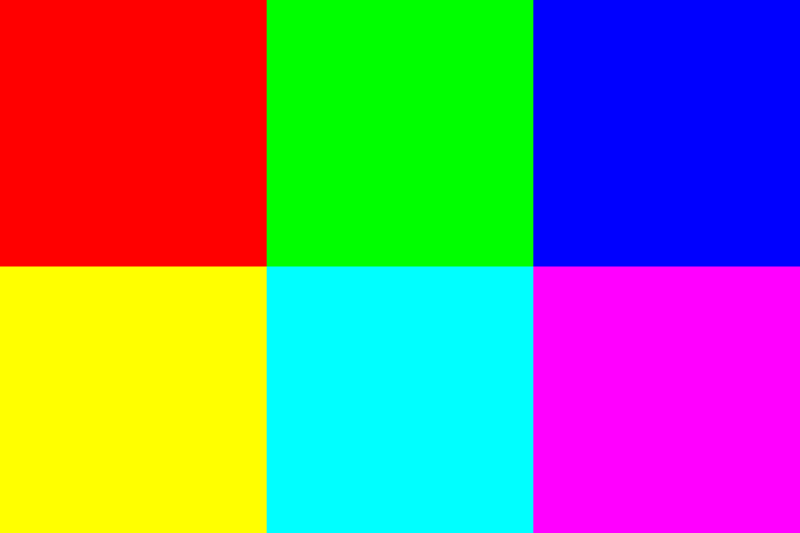 Note that each primary color is represented by a single white square. Note that the secondary colors are represented by two white squares. This is because they each secondary color is a combination of two primary colors.